Farewell for now, royal wedding fans! With the wedding of the year (and the best re-enactment ever) behind us, the Windsor Knot will no longer be posting. For up-to-the-minute doings among the crown-wearing set, visit our Royals section, where TODAY delivers all the regal news. Until a certain other prince decides to tie the Windsor Knot, here are some Will-and-Kate pieces to tide you over. Queen Elizabeth arrives to the wedding of Britain's Prince William and Kate Middleton. Kate may have her lace gown, Pippa her plunging neckline... but the newest royal style icon isn’t either of the Middletons. It’s the queen. 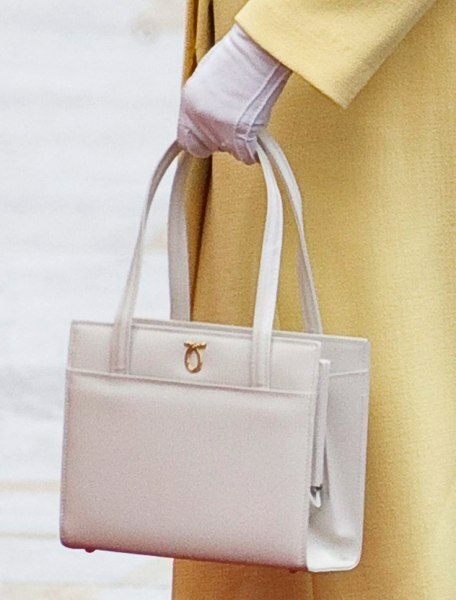 Her majesty, 85, has caused a surprising fashion frenzy with the sophisticated cream-colored leather handbag she carried to Prince William’s nuptials. The lucky supplier, Launer London, has reportedly seen a 60 percent increase in sales since the monarch flashed the status symbol at Westminster Abbey. The distinguished and traditional purse line – popular with the over-50 royal crowd – is specifically excited to get noticed by a younger audience. Twenty percent of the sales increase has been attributed to the 35-50 demographic (buyers are asked to give their age when they buy online), according to the Daily Mail. “It shows a real move towards more reserved and understated bags after the ‘it’ bag movement (and also, shows that it wasn’t just Kate that had an impact on fashion tastes),” the company said in a statement. 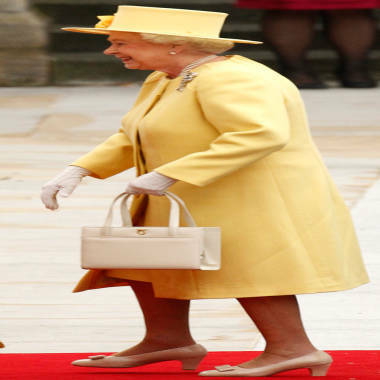 And it’s not just the queen’s bag that’s fashion-forward: Expect to see the color she wore head-to-toe – mellow yellow – in stores next season. Hey, I'm testing a new commenting system tied to Facebook. Better get ready, Beckhams: your favorite newlyweds are coming to visit. 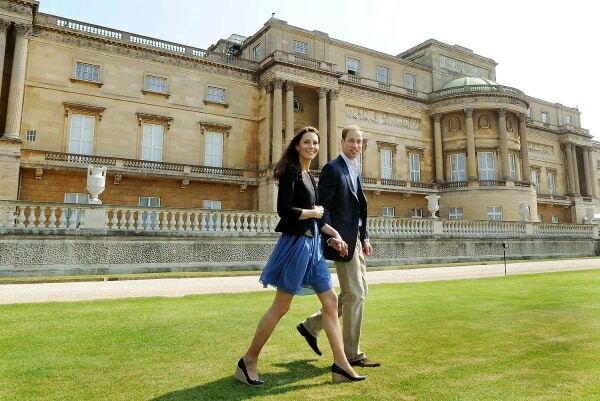 Clarence House officials announced that Prince William and Kate Middleton will go to California from July 8-10 as part of their first foreign trip this summer, following their tour of Canada. According to the U.K. Telegraph, they are expected to be welcomed by Arnold Schwarzenegger. It will be William's first official trip to the United States and (gasp!) Kate's first-ever visit to the country. Long overdue? 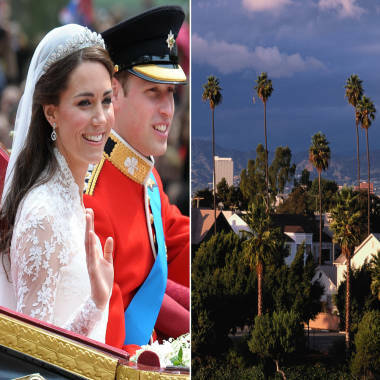 Prince William and his new bride are planning a trip to California, which will be the new princess's first time in the United States. TODAY's Michelle Kosinski reports. Prince William and Kate Middleton said they didn’t want wedding gifts; instead, the couple kindly requested guests make charity donations. Now we know why: The presents? They ain’t all that spectacular. While sweet and thoughtful, London mayor’s gift of a twin bicycle seems a bit comical. Boris Johnson said he thought his contribution would help the couple get around – chauffeur-free – when they get back to their home in Anglesey, Wales. Canadian prime minister Stephen Harper decided to promote his country’s landscape in his gift of wilderness gear. The newlyweds are expected to visit Canada in late June, and Harper thought they could use a few tools to better "experience Canada's natural splendor." Meanwhile, British prime minister David Cameron acknowledged that William and Kate have “probably got everything,” so he bestowed them with a coffee table book featuring photos of the Welsh Island of Anglesey. All these gifts likely weren't easy decisions, because really, what does one get the couple that does indeed has it all, including a custom wedding song from George Michael? A fan of the simple and natural (she does her own makeup), Kate opted for a soft blush color on her manicured hands – Essie nail polish in “Allure” ($8) mixed with Bourjois Rose Lounge no. 28, (£5.99). “Nothing is more classic or elegant than a perfectly flawless pale pink manicure,” said Essie Weingarten, Founder and President of Essie Cosmetics, in a news release. 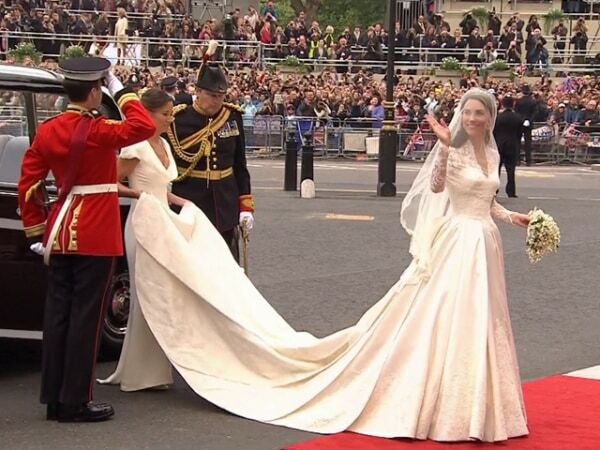 Oh wait, Alexander McQueen’s Sarah Burton isn't designing your wedding gown? How very plebian of you. If you want Kate's wedding dress without the hassle of assigning a designer the task, companies have already begun re-creating the magic of Middleton's dress: ABS and Faviana have already started the production process the minute Middleton revealed her gown. Finally, Kate's wedding gown revealed! 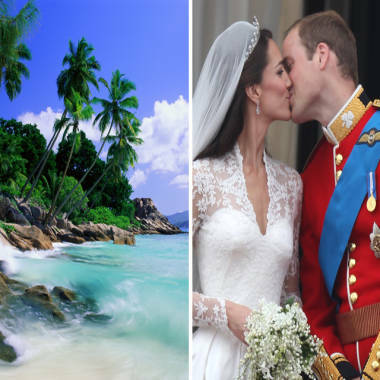 The bikinis and bubbly will have to wait as royal officials announced that the newlywed will postpone a honeymoon abroad with his new wife. 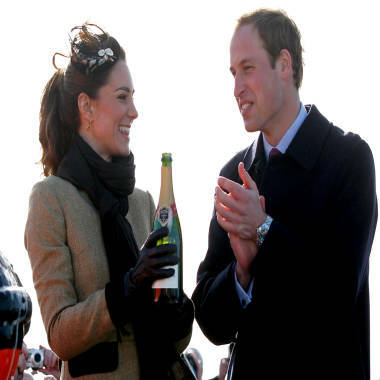 "The Duke and Duchess of Cambridge have chosen not to depart for a honeymoon immediately," St James's Palace said in a statement, referring to the couple by their new titles bestowed by Queen Elizabeth. "The locations of both their private weekend before The Duke returns to work and their future honeymoon, which will be overseas, will not be disclosed in advance," it said, adding that the couple will spend the weekend in Britain, although not at their Welsh home. Looks like the royal couple are keeping with tradition: Prince Charles and Princess Diana spent the first part of their honeymoon at the royal family's home in Hampshire, England. Historian Andrew Roberts discusses the reason for postponed honeymoon. Finally, Kate's royal wedding gown revealed! There's only been six months of tireless speculation and hundreds of exhausted journalists who (unsuccessfully) tried to unravel the mystery of who would design the princess bride's wedding dress. The day has finally come: Kate Middleton is wearing a long-sleeved, ivory lace and satin gown, designed by Sarah Burton, creative director of Alexander McQueen. "Miss Middleton wished for her dress to combine tradition and modernity with the artistic vision that characterises Alexander McQueen’s work," Clarence House officials released in a statement. "Miss Middleton worked closely with Sarah Burton in formulating the design of her dress." As for the honor of designing the historic frock, Burton said she "enjoyed every moment" of creating a dress that represents the best of British craftsmanship. "Alexander McQueen's designs are all about bringing contrasts together to create startling and beautiful clothes," Burton said in an interview with the Press Association. "I hope that by marrying traditional fabrics and lacework, with a modern structure and design, we have created a beautiful dress for Catherine on her wedding day." The design: "Individual flowers have been hand-cut from lace and hand-engineered onto ivory silk tulle to create a unique and organic design, which incorporates the rose, thistle, daffodil and shamrock." The fabrics: "French Chantilly lace was combined with English Cluny lace to be hand-worked in the Irish Carrickmacross needlework tradition." 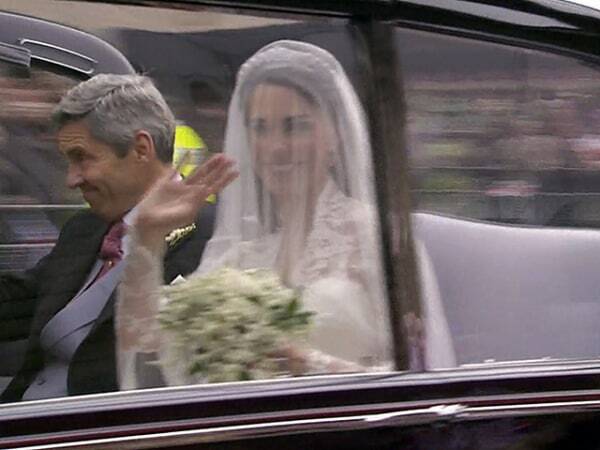 The veil: "The veil is made of layers of soft, ivory silk tulle with a trim of hand-embroidered flowers... and held in place by a Cartier ‘halo’ tiara, lent to Miss Middleton by The Queen." The bling: "[The earrings] are diamond-set stylised oak leaves with a pear shaped diamond set drop and a pavé set diamond acorn suspended in the centre. Inspiration for the design comes from the Middleton family's new coat of arms, which includes acorns and oak leaves." The shoes: "The wedding shoes have made hand-made by the team at Alexander McQueen and are made of ivory duchesse satin with lace hand-embroidered by the Royal School of Needlework." The bouquet: "The bouquet is a shield-shaped wired bouquet of myrtle, lily-of-the-valley, sweet William and hyacinth. The bouquet was designed by Shane Connolly and draws on the traditions of flowers of significance for the Royal Family, the Middleton family and on the Language of Flowers." The hair: The royal bride opted for a natural "demi-chignon," styled by James Pryce from Kate's favorite salon, Richard Ward of Chelsea, London. What do you think of the dress? Worthy of a royal wedding? Cast your vote! 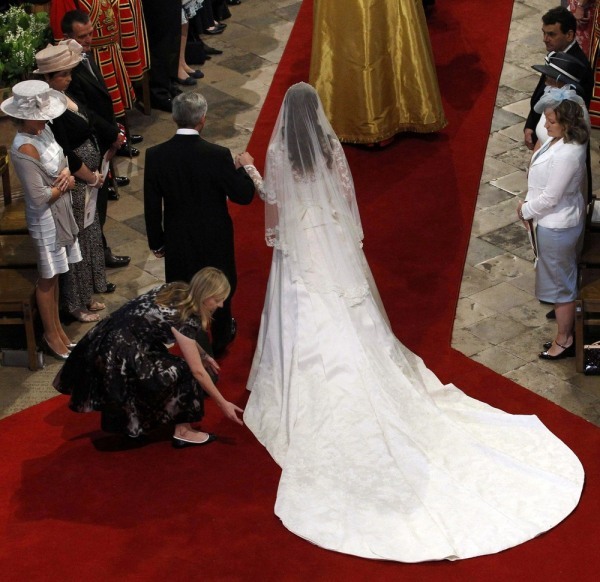 Alexander McQueen gown designer Sarah Burton (bottom L) adjusts Britain's Kate Middleton's dress as she arrives with her father Michael Middleton at Westminster Abbey. Kate, the Duchess of Cambridge, left, leaves Clarence House, London, with Camilla, the Duchess of Cornwall to travel to Buckingham Palace for the evening celebrations following her wedding to Prince William. Gabriele Hackworthy, fashion director for Harper's Bazaar UK, and designer Amanda Wakeley tell TODAY's Meredith Vieira that Kate's dress exemplifies her desire to be a traditional bride and princess. Prince William and Kate Middleton, seen here in Wales in February, will now be known as the Duke and Duchess of Cambridge. Most grandmothers give gifts of china or bed linens, but on Prince William’s wedding day he has received a dukedom from his grandmother, Queen Elizabeth. The prince will now be known as the Duke of Cambridge, and has also received the titles Earl of Strathearn and Baron Carrickfergus. A duke is the highest rank below that of monarch in the British nobility. Kate will be known as the Duchess of Cambridge. 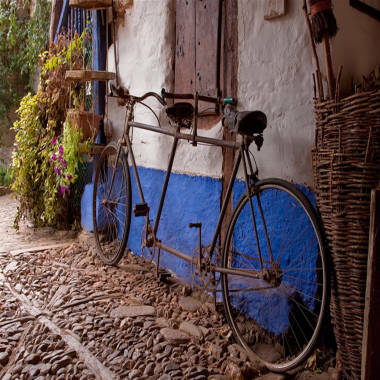 The title has not been in use since 1981, and was originally created in 1801. Kate will officially become Princess William of Wales, although this title will not be used. As a royal tradition, it was largely expected that the queen would confer a dukedom to William upon his marriage. Since William announced his engagement, there has been a guessing game in the press as to the title he would receive. Other possibilities included the Duke of Sussex, the Duke of Connaught and Strathearn, and the Duke of Clarence and Avondale. Queen Elizabeth could also have created a new title for her grandson. Reportedly, William’s uncle Prince Edward was going to be given the title of Duke of Cambridge - that is until he watched Shakespeare in Love, which had a character called the Earl of Wessex. He liked the sound of it and requested that title instead. And here's a little-known fact about a previous holder of this title: The second duke of Cambridge, Prince Adolphus Frederick, was the seventh son of King George III. A true romantic, he defied the Royal Marriage Act, and married his mistress, Sarah Louisa Fairbrother, an actress and a commoner, in 1847. Since the marriage wasn't legal, his children were all illegitimate. He’s got fame, money and oodles of weird memorabilia devoted to his likeness – but does the world’s most famous prince have… a last name? According to new Internet research, the public isn’t quite sure. Yahoo! Searches for “What is Prince William's last name” are up 1199 percent this week and “What is Prince William's full name" are up 774 percent. How is it that one of the world’s biggest celebrities managed to keep such a simple fact such a mystery? Before you pity the bloke, know that while he generally goes by Prince William of Wales ﻿﻿— as royals tend not to use last names — William does technically have a surname (royals, they’re just like us!). On occasions when the queen's children need a surname, it's (drumroll, please) Mountbatten-Windsor. The queen’s family name was originally Saxe-Coburg-Gotha, but due to anti-German sentiment after WWI, the royal surname was changed to Windsor, which had a long association with British royalty through the town of Windsor, Berkshire and the Windsor Castle. Then in 1960, the queen and Prince Phillip decided to merge their last names — hers (Windsor) and his (Mountbatten) to create the current surname — that is rarely ever used and certainly not known by most fans. Is there something stuck on your teeth? Oh no, that’s just a tattoo of Prince William and Kate Middleton. 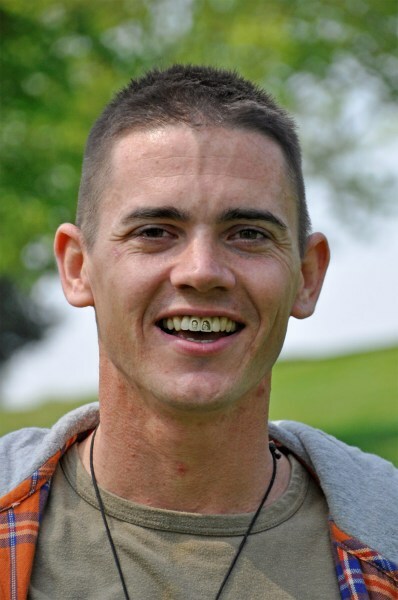 British plumber Barmy Baz Franks, 29, got a dentist to use ultrafine brushes and stencils to paint images of the smiling royals. The temporary ivory art – known as “gnasher tats” – will last roughly three months, depending on how much Barmy Baz Franks brushes. 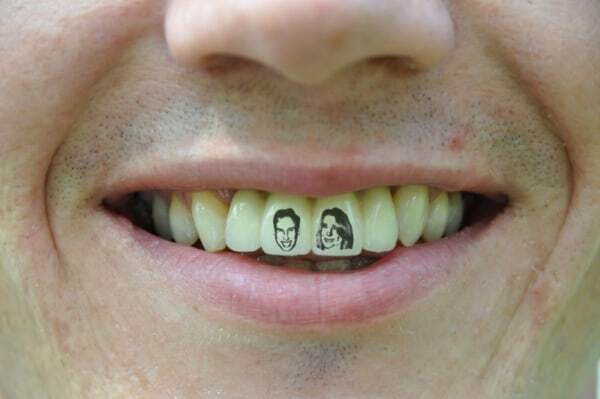 “I’ve done some unusual dental cosmetics in my time, but this was certainly one of the strangest,” said the dentist, Dr. Neil Gerrard, in an interview with Small World News Service. The patient says he was just doing his part to help celebrate the April 29 nuptials. “I love the royal family and this was my way of lending my support to their big day,” said Franks. We think we know who would make a good match for the tattooed fan: The royal wedding hunger striker. Why sit alone when you can gab about Kate's dress with your nearest and dearest? 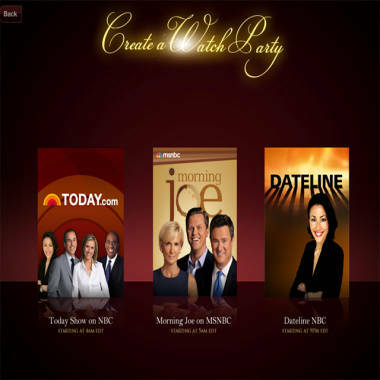 With NBC's royal wedding app, you can create a royal wedding party and invite friends and family to view it with you. Click on the show you plan to watch, and then send out the invites via Facebook. NBC's coverage of the big day starts at 4 a.m. ET, with TODAY's Matt, Meredith, Al, Ann and Natalie reporting on the exciting event. The program will include live coverage of ongoing wedding celebrations in London, originating from Buckingham Palace, Trafalgar Square and Westminster Abbey. Tune in to Morning Joe on MSNBC at 5 a.m. If you’re more of a night owl, Dateline will have the big day covered, starting at 9 p.m. ET. With the entertainment set, all you need to do now is set your alarm! Consider it an early wedding gift. The photographer who took the very first images of Prince William as a baby just discovered several unseen shots, including some of the late Princess Diana enjoying sweet parenting moments. Ian Pelham-Turner, who has spent four decades working with royalty – including the queen, Prince Phillip and the queen mother – took the pictures in 1982, but only recently learned about the whereabouts of the forgotten images. “I got a random phone call a few days ago and found out that in the region of 100,000 pictures had been discovered in boxes in an old building near the London Wall. It appears that they had been left by former agents of mine," he said in a press release. "When I opened the first box the images of Diana were the first to come out – just days before Prince William’s wedding." To celebrate the upcoming nuptials, Pelham-Turner released the photos, hoping to share the touching images with royal fans across the world. “I now have studios at the Milestone Hotel opposite Kensington Palace and it all seems a bit ironic that they should come out now, especially with those shots of Diana,” he said.